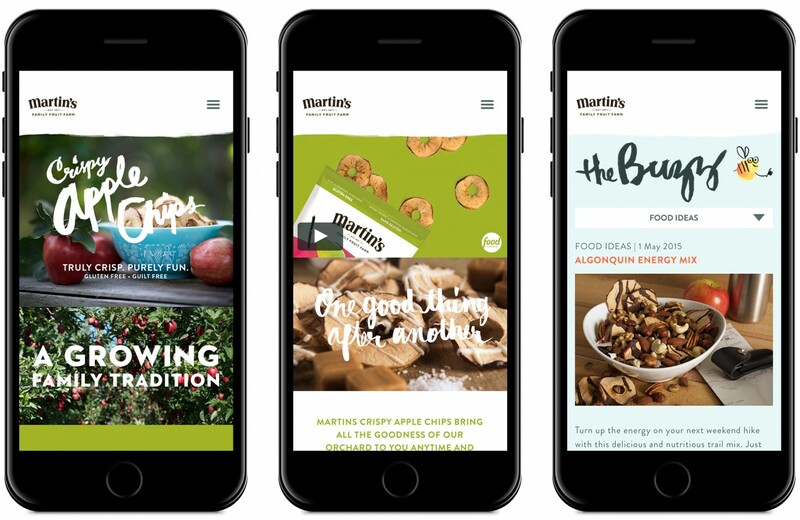 To launch a new product in a highly competitive category, we set out to change attitudes about snacking itself. 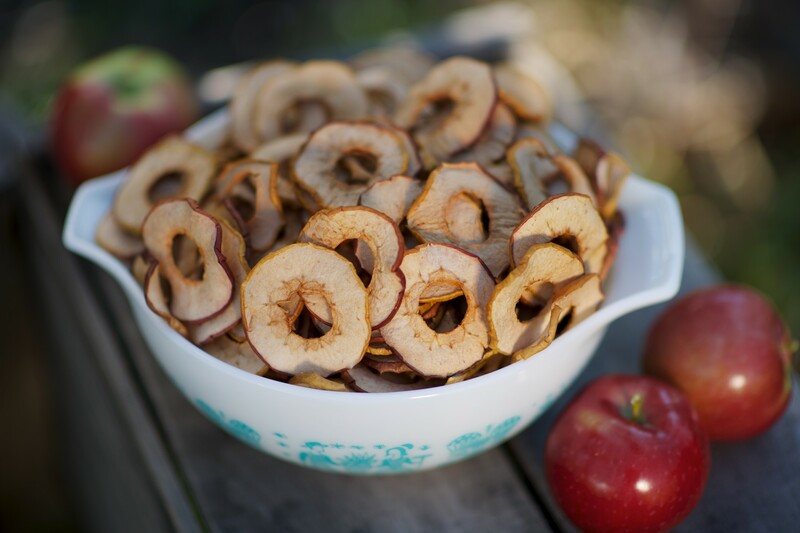 Can healthy snacking be fun? Absolutely. 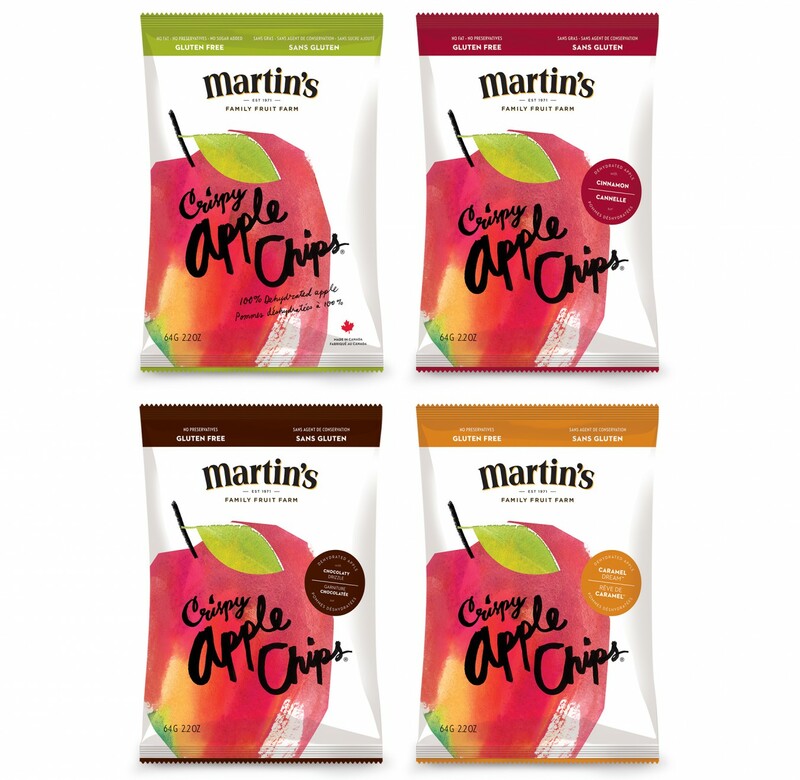 Our task was to brand Martin’s Crispy Apple Chips as an all–natural, healthy snack, and do it in a fresh way that inspired people to give them a try. 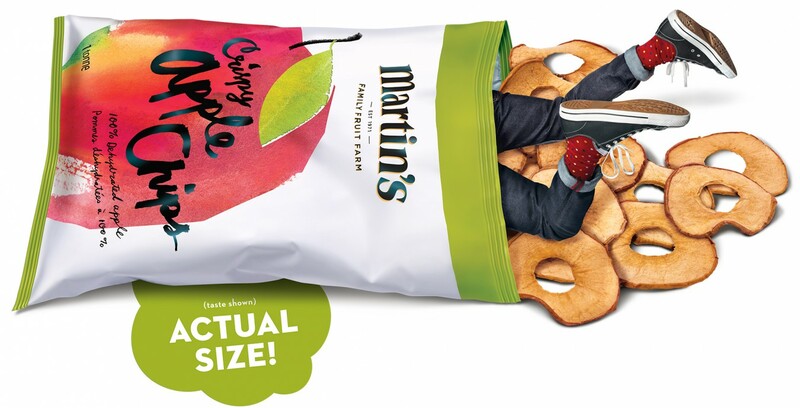 With generations of apple growing behind them, Martin’s created an apple chip that retains all the natural taste and crunch of a fresh apple. In keeping with the brand’s promise of purity and quality, the product is all natural, with no additives, fat, added sugars or preservatives. 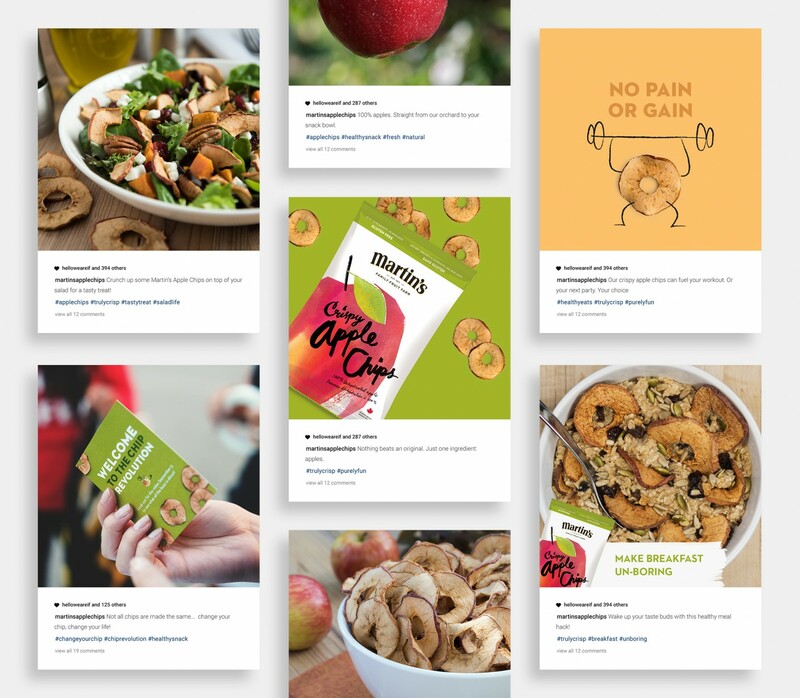 From design, to packaging, to advertising, to content and social, we gave them a fresh, fun campaign worthy of the product itself, redefining what a healthy snack can be. 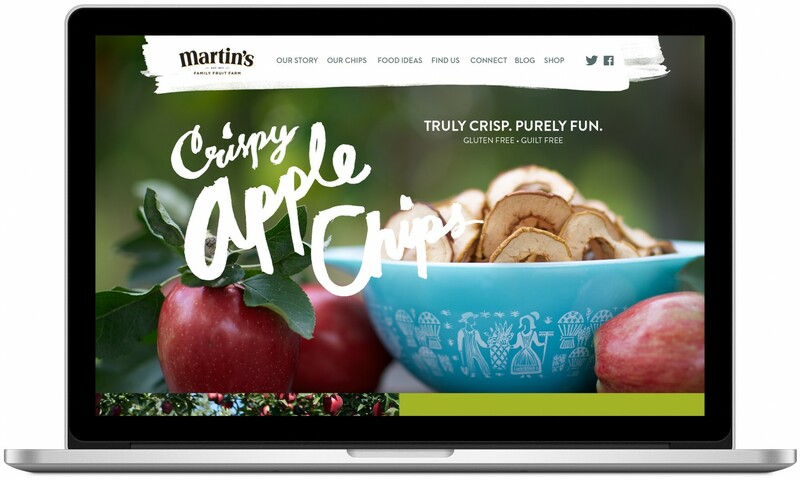 We created a fun explainer video to help tell the Martin’s story, plus a series of pre-roll and social edits to promote the full video online. 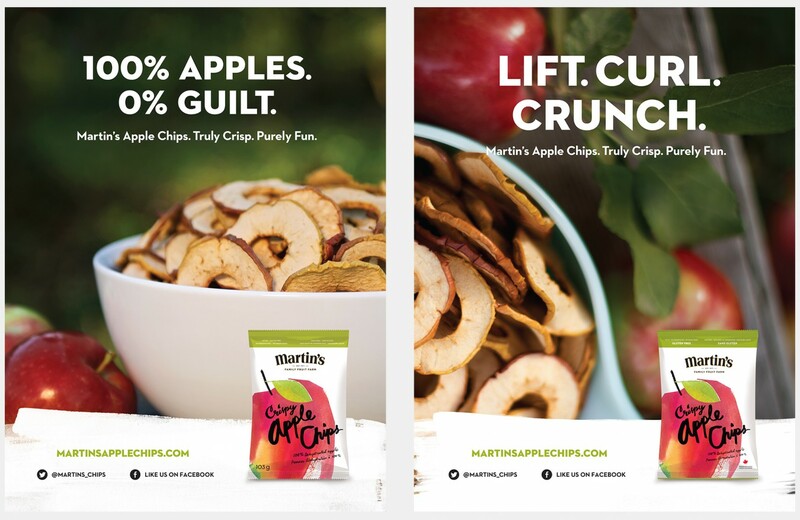 To support a highly targeted sampling program, backlit posters appeared in the change rooms at GoodLife Fitness Centres throughout the Greater Toronto area. This giant 10 foot floor decal stopped commuters in their tracks at busy Toronto GO Train stations.